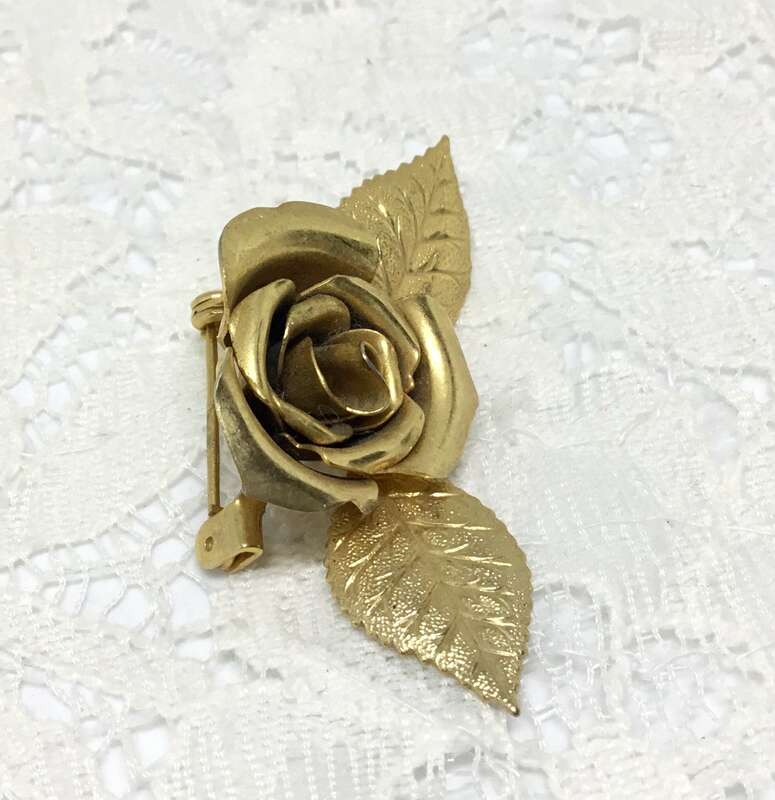 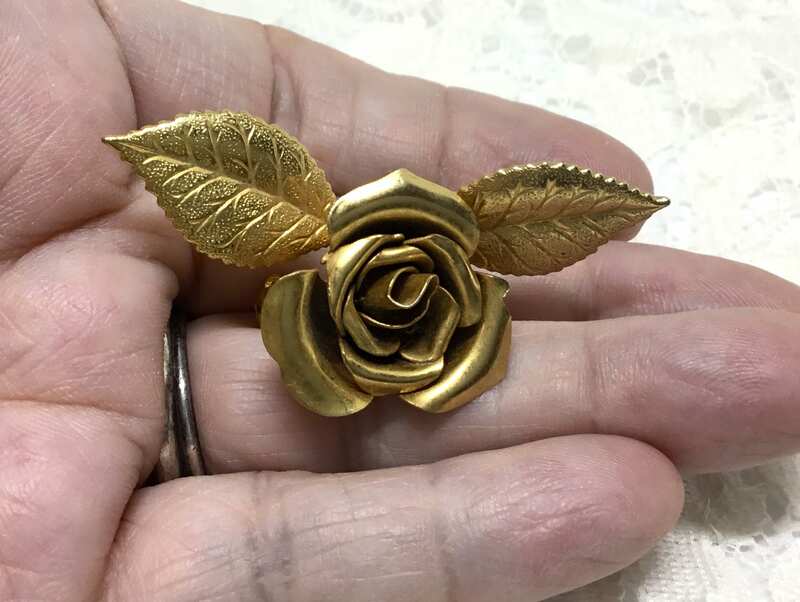 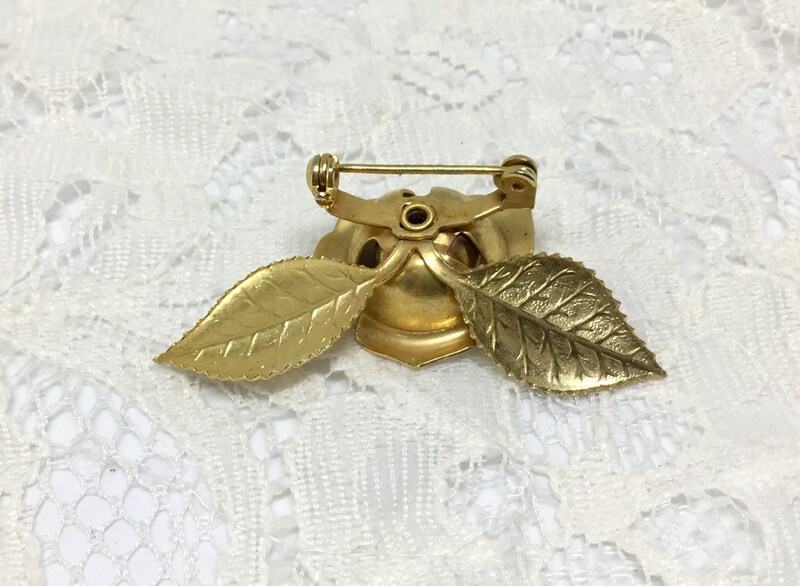 This is a vintage dainty goldtone open rose with two goldtone leaves pin. 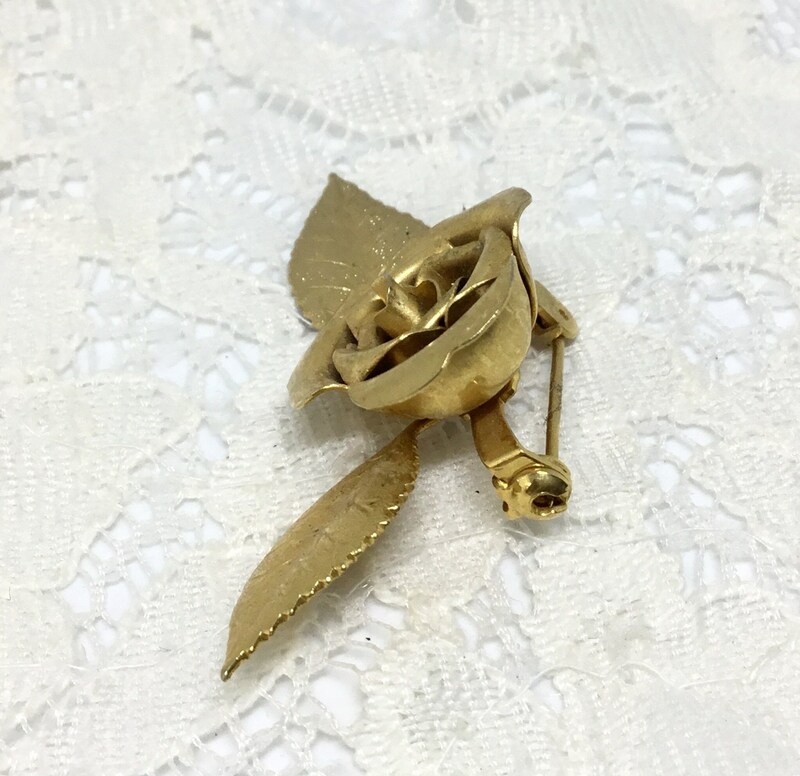 The leaves have great detail and the open rose has four layers of petals. 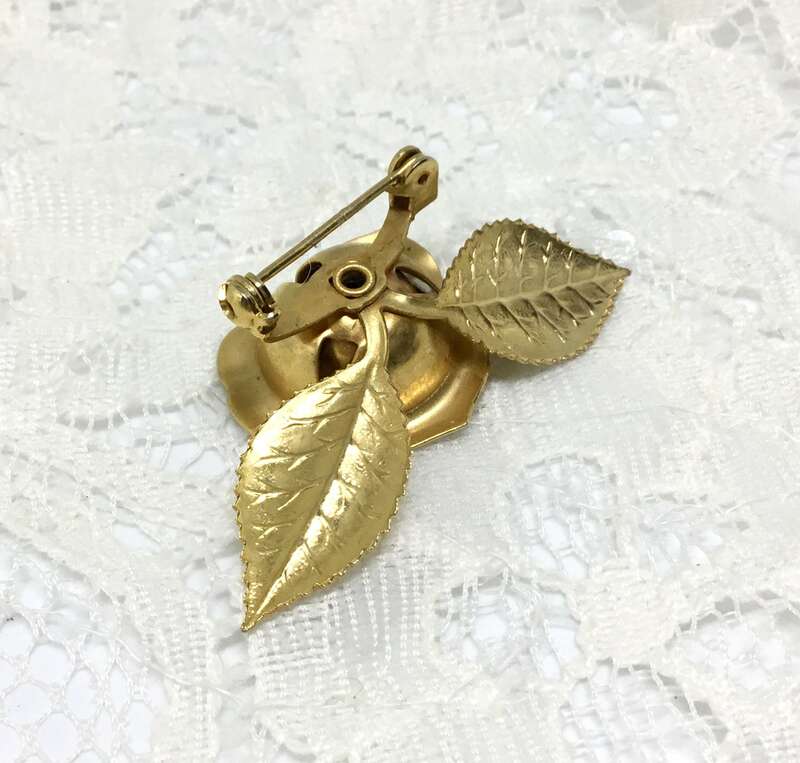 It measures 2” x 1” and the pinback is straight and works smoothly and securely. 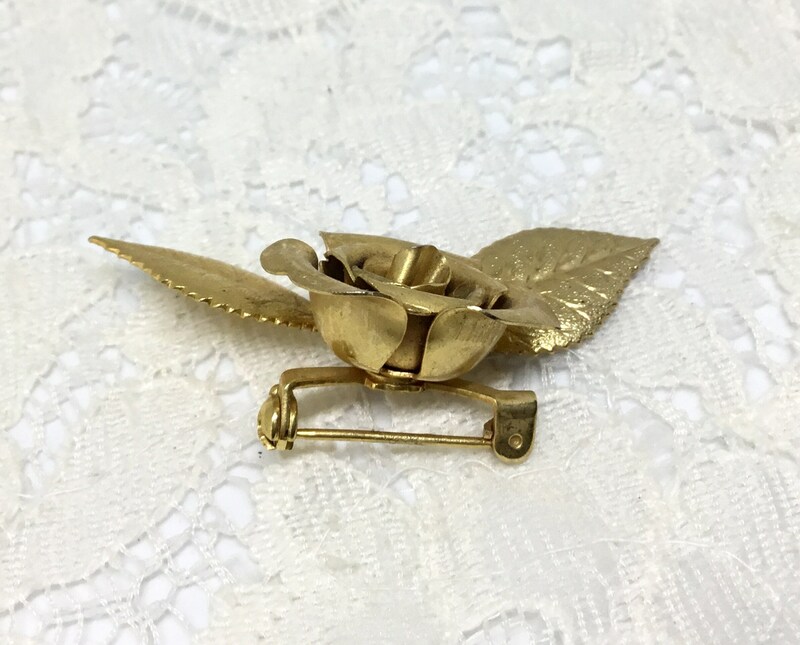 A great little piece to wear or to pin to a hat, a backpack, a purse, or for a brooch picture!